I can use [ https://play.google.com/store/apps/de... ] to record logs when I try to log-in - where should I send the logs for Yast Calls mobile problems? We've managed to pinpoint the bug. We'll publish an updated version of the app very soon. We've also managed to patch this up server side, so the version you already have installed should should also work. Please let us know if you have any further problems, and I'll reopen the issue. Please email them to yast@yast.com, and I'll have a look at it! Hey Jørn, I sent an email. Have you had a chance to look at it? We are continuing this by email. Would be nice if you post this as the exact same problem happened to me. 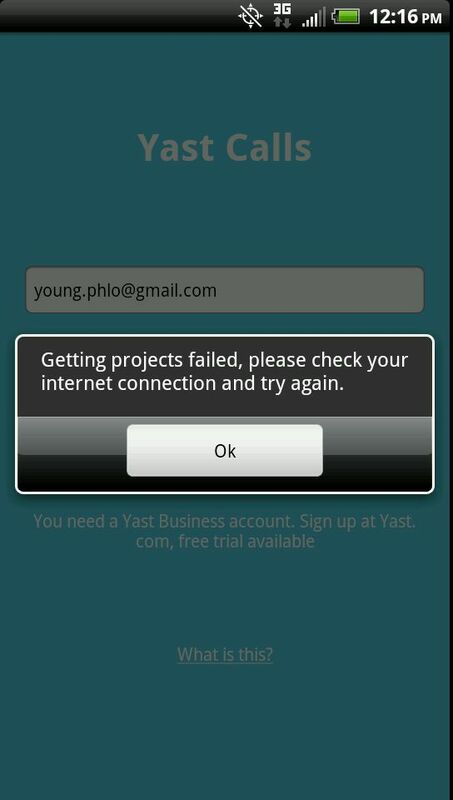 I have an HTC incredible S and about a week ago I noticed that I could not sync the projects to my phone. I got the same messages as Phlo described here. Then I tried to log out and in again and now I can't log in as it tries to sync during login and fails. Restarted the phone, reinstalled but still the same. Please post here if you have some solutions or send me an email. This hasn't been resolved yet but when they do get to it I'll post updates here. We're at the moment trying to figure out what's happening, as this apparently only affect some of our users. We'll certainly update this post when we find a solution. Also, could you try uninstalling and reinstalling the app? Thanks. Like I mentioned in my post, I have reinstalled the app without any luck. I'm building a custom app with extended logging. I'll email you when It's ready! Would be nice if you post this as the exact same problem happened to me. 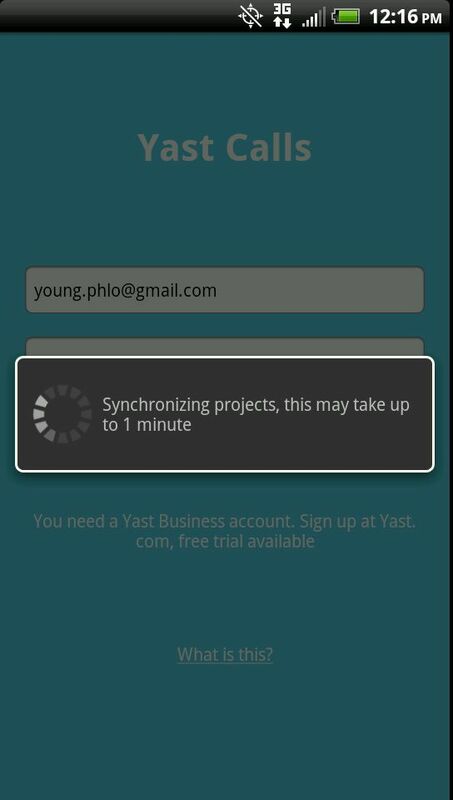 I have an HTC incredible S and about a week ago I noticed that I could not sync the projects to my phone. I got the same messages as Phlo described here. Then I tried to log out and in again and now I can't log in as it tries to sync during login and fails. Restarted the phone, reinstalled but still the same. Please post here if you have some solutions or send me an email. The patch worked for me as well. Hello again! We've managed to pinpoint the bug. We'll publish an updated version of the app very soon. We've also managed to patch this up server side, so the version you already have installed should should also work. Please let us know if you have any further problems, and I'll reopen the issue. Thanks for your quick resolution. Great thanks. Works like a charm. Thanks for your quick resolution.